IsoBuster Pro 4.3 Portable » SoftLab - портал portable-софта! 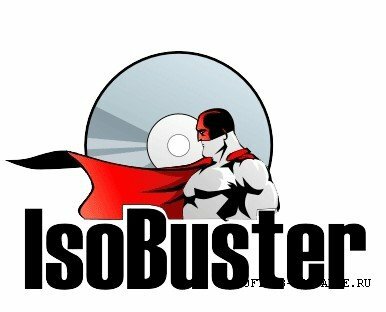 IsoBuster is an award winning, highly specialized and easy to use CD, DVD and blu-ray (BD, HD DVD) data recovery tool. It supports all CD / DVD / BD / HD DVD formats and all common file-systems. Rescue lost files from a bad or trashed CD or DVD disc, save important documents, precious pictures, video from the family, your only system backup. IsoBuster can do it all! No accumulated cost if you need more than one type media supported. IsoBuster is a highly specialized yet easy to use optical media data recovery tool. It supports all optical disc formats and all common optical disc file-systems. Start up IsoBuster, Insert a disc, select the drive (if not selected already) and let IsoBuster mount the media. IsoBuster immediately shows you all the tracks and sessions located on the media, combined with all file-systems that are present. This way you get easy access, just like explorer, to all the files and folders per file-system. Instead of being limited to one file-system that the OS picks for you, you have access to "the complete picture". Access data from older sessions, access data that your OS (e.g. Windows) does not see or hides from you etc. Большое спасибо-на win 8 работает без проблем.